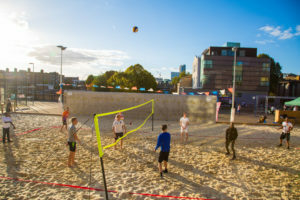 Located in the heart of London Bridge, we have an amazing sand court for hire that can be used for volleyball, handball or just building sand castles and sunbathing!!! 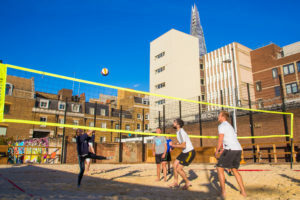 The space is available for one of hire or block bookings. 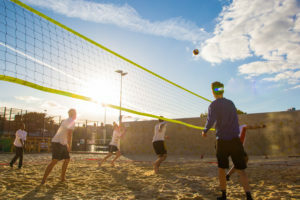 This is a very unique space due its location and we only have limited time slots as listed below.